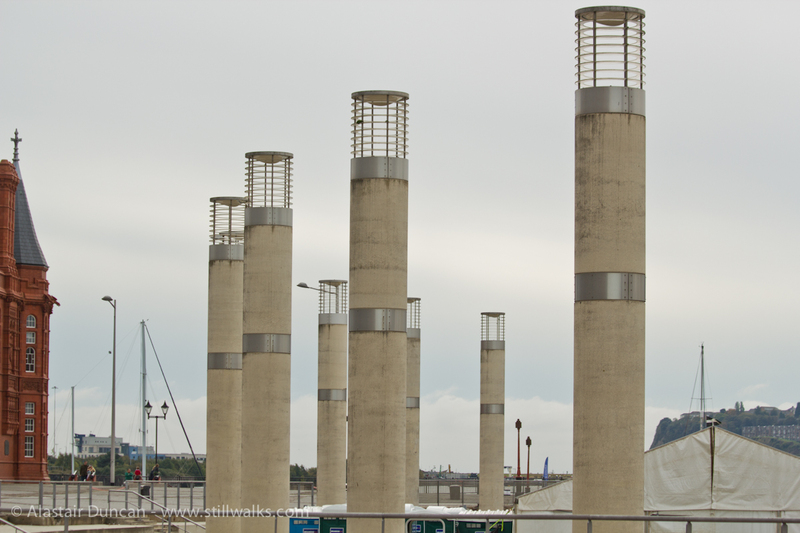 I like the arrangement of these lighting columns in Cardiff Bay but to put them properly in context you need to look at the wider picture at the bottom of this post. I thought the dark lump on the glass discs in the second image was something nasty but on closer inspection, it looks like it is a lump of moss . . . so that’s one for the Moss Appreciation Society! 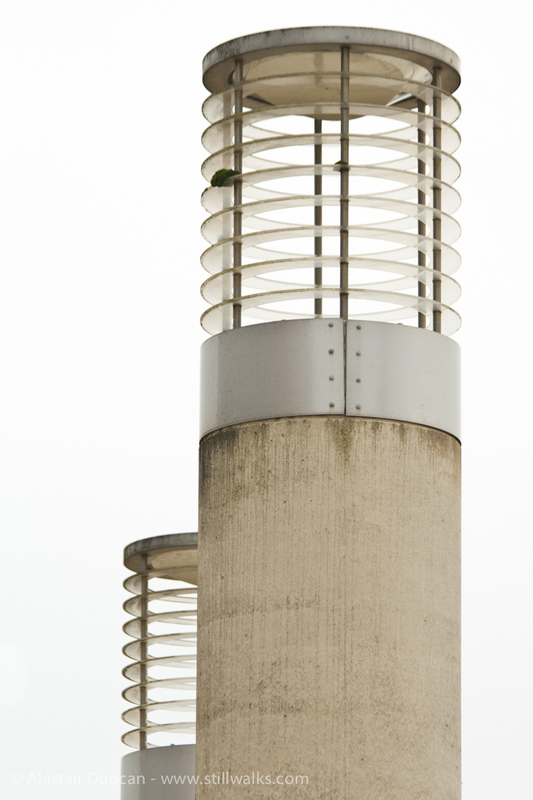 Posted in Architecture, art, Photography, Urban and tagged architecture, art, Cardiff Bay, columns, concrete, glass, lighting, moss, patterns, photography, urban, wales.